Micormax the leading mobile manufacture company in Asia introduces variants Android smart phones with better features and specification. Now Micromax launched two new phones in Superfone series. That two models are A90 and A100. 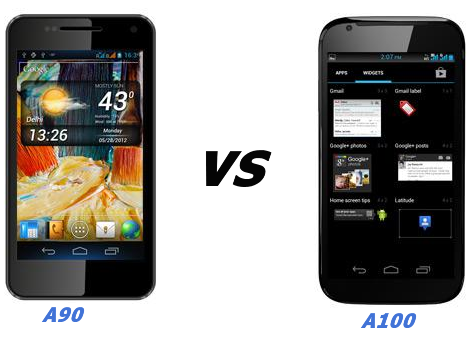 Here the comparison table for specs, price from both phones to users can find best one easily.